This concrete home in the St James area is full of Upgrades. 3/2 plus Enclosed lanai plus another lanai plus Birdcage plus 2 car garage plus Golf cart garage. 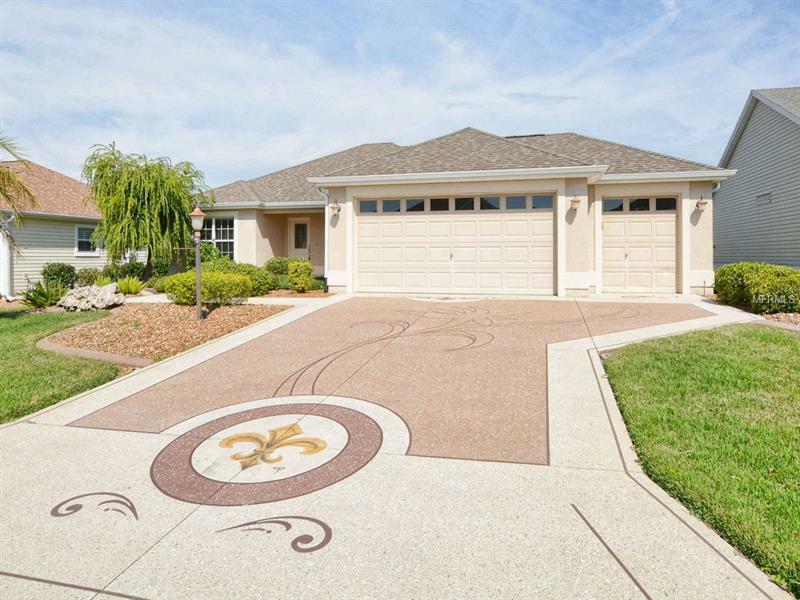 The sculptured concrete driveway leads to the welcoming front porch. The kitchen and pantry have pull-out drawers and upgraded stainless steel appliances with double oven. The bedroom closet is redone to provide shelving ans extra hanging space. the master bath has double vanities and large walk-in shower. The lanai is glassed and has HVAC. A large birdcage has been added as well. The garage has space for two cars and golf cart and lots of build-in storage.